In the latest round-up of 2018 Mustang updates, it appears that the V6 Mustang offering will cease to exist. Originally reported on by Jalopnik, a Mustang6G user noticed that the V6 and the V6 convertible body style were missing from a list of 2018 options. UPDATE: 1/17/2017 – The 2018 Mustang has been revealed and these design features have been confirmed. Checkout images, videos, and information on the 2018 Mustang by clicking here. While Ford has declined to comment on the removal of the V6 engine from their line-up, it speaks volumes that all of the other current engine offerings (2.3L EcoBoost, 5.0L Coyote V8, and 5.2L Voodoo V8) are available on site. When you input the body type code into the dealer system, it comes up as an invalid option. End of the V6, Dawn of the EcoBoost? For some time enthusiasts and industry insiders have been speculating about the end of the V6 Mustang after the release of the EcoBoost engine. Making more power while being more fuel efficient (and arguably more modifiable) the EcoBoost Mustang is everything the V6 Mustang is an more. While the V6 Mustang has long been a staple of rental car fleets, when the S550 came out we started to see more and more EcoBoosts available for rental, aggressively encroaching on V6 territory. Pair that with the fact that the V6 Mustang has seen few upgrades and packages available, especially in comparison to the EcoBoost and GT Mustang, it is all but confirmed that this is the end of the V6 Mustang and the rise of the EcoBoost. Mustang6G, one of the leading authorities on all things S550 Mustang related, summed up a nice little list of some of the big and small changes we can expect to come from the mid-cycle refresh of the S550 platform. From new color options to new performance characteristics, it seems Ford is going over the Mustang and giving it a bumper to bumper revamp that should pique the interest of any enthusiast. It seems the 2018 Mustang will be receiving a quad tip exhaust system that features active exhaust technology, similar to what is one the GT350. 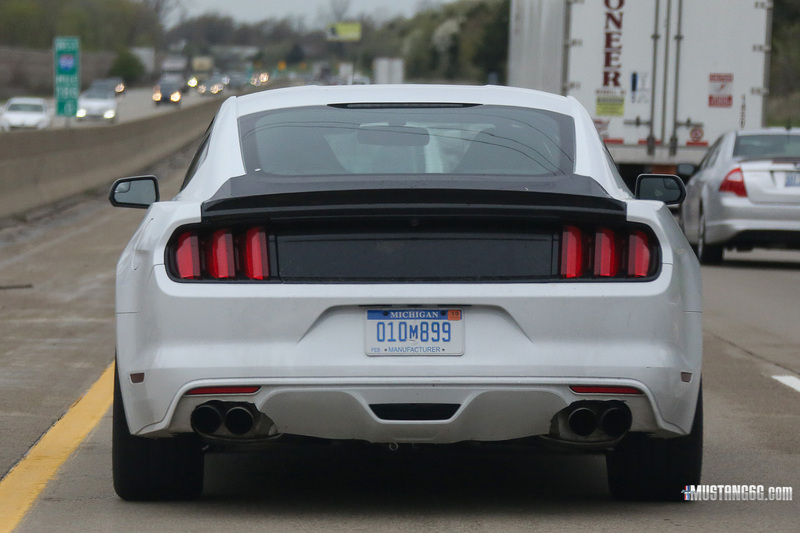 While the new Mustang exhaust setup has been spotted on S550 test mules, we are relying on the word of spy photographers who reported the difference in sound/loudness. It looks like MagneRide Dampers, part of the Shelby GT350’s potent handling equation, will be available on EcoBoost and GT Mustangs, narrowing the handling gap. For a quick oversimplification of what MagneRide is, basically the dampers use a magnetic fluid to control how stiff/soft the dampers are with a magnetic current dictating how the fluid reacts. While IRS was a huge step forward for Mustang handling, offering MagneRide Dampers for all S550 Mustangs will be another giant leap forward when it comes to carving corners. 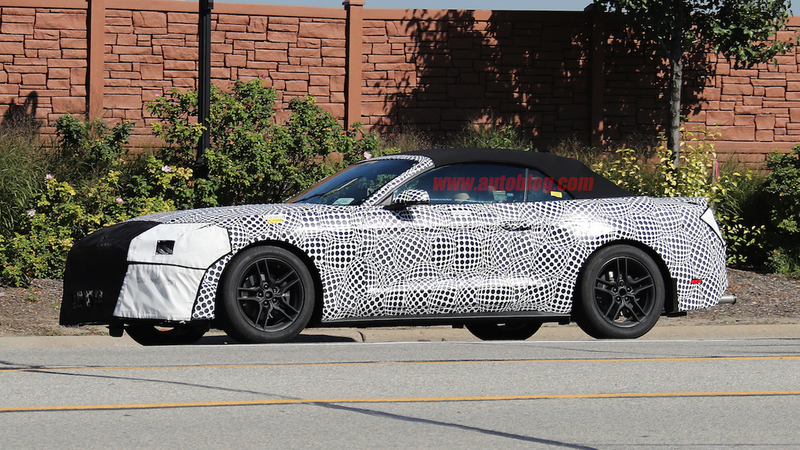 While we have already reported on early rumors of the 2018 Mustang getting a 10-speed automatic transmission, new reports have solidified what we originally thought. 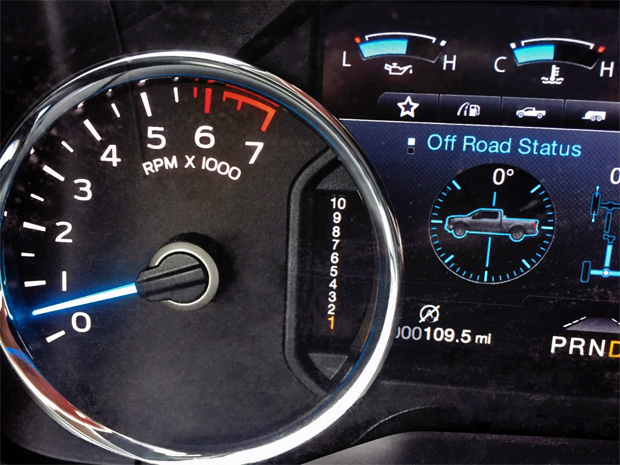 The option for the 10-speed automatic transmission, a standard feature on the 2017 Ford SVT Raptor, has appeared on the options list of the dealer system. One does have to wonder how the spread of 10-speeds will affect the Mustang’s handling and overall performance. It is uncertain if this will be an additional option to the popular 6-speed automatic 6R80 transmission or a full-on replacement, but we shall soon find out. 2018 Mustang Packages: 2 Performance Packs? Another option that has appeared online is a Performance Package 2 in addition to the already popular Performance Package (PP). Performance Package equipped Mustangs come with more aggressive gearing (3.73’s instead of 3.55’s), staggered wheels and tires, Brembo Brakes, and a few other goodies. It is not specified online what this Performance Package 2 may include, however it seems that the general thought is that this will be an option designed to be direct competitor to the 1LE Camaro, offering even more enhanced track focused performance. The 2018 Mustang will be available in a new array of colors in addition to some of the colors offered a the beginning of the S550’s debut in 2015. “Orange Fury” and “Royal Crimson” are being introduced for the first time on the 2018 Mustang, along with “Lead Foot Gray” which will be a 2018 Shelby GT350 exclusive. While the 2018 Mustang is getting to strut its stuff in some different shades of color, it is also losing one popular option. “Grabber Blue” which was only available on the 2017 Mustang, will no longer be an option for 2018 Mustangs. 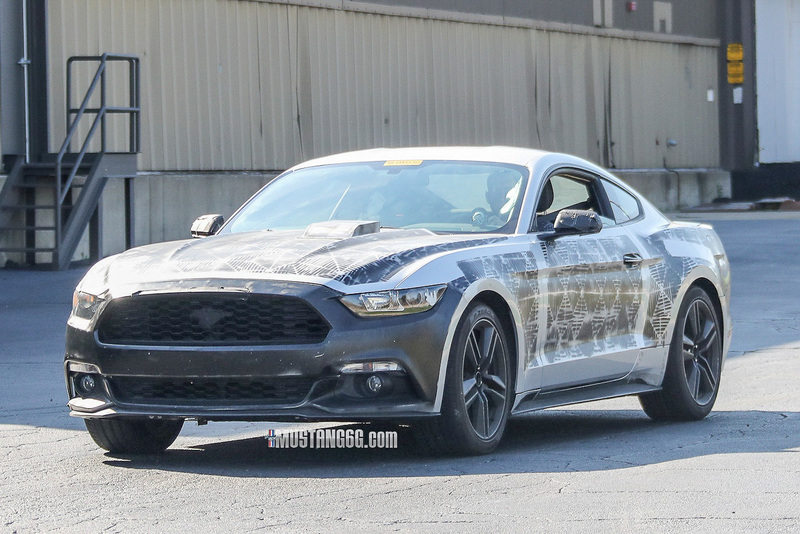 Are these the changes you had hoped for on the 2018 Mustang? And is it time that we finally laid the V6 Mustang down to rest, allowing the EcoBoost to shine? Comment your thoughts below! Previous Entry Win $5,000 In Upgrades For Your Mustang! Out with the old (aspirated) and in with the new 3.7 Ecoboost V6 already used in the Fusion, at some point? Just as the 2.3 edges aside the old 3.7, one can imagine the new, retuned 3.7 edging out the V8 before long. It would makes sense, given Ford’s efforts to keep its CAFE average down. On the other hand, the burble/snarl…maybe a burble/snarl soundtrack for nostalgia’s sake? 2.7 lite ecoboost you mean? @ sbd the EB engines return good mileage on the EPA test cycle but real world mileage trails behind other larger displacement naturally aspirated engines. People simply don’t want to drive under the conditions that improve mileage with an EcoBoost engine. This has been and always will be the Achilles Heal of a turbocharged engine. Folks love the power that the turbocharger provides and like to dip into that well constantly and when the engine is on boost it takes as much or more fuel (very few if any FI engines can run a BSFC number like an NA engine) to make that power negating the small engine advantage. In any event its good to see some trickle down tech from the GT350. Ford needs a package that spans the difference in performance and price between a GT and a GT350 as the regular Mustang guys are being left out in the cold compared to their GM counterparts. The 1LE Camaro has perhaps the same level of performance or damn close to the GT350 at about 2/3rds the cost. That’s a hard pill to swallow as a Ford Mustang everyman unable to step up to the GT350 and for anybody on the fence about a Mustang or Camaro it makes the brand-x car very tempting from a dollars to performance ratio. The Fusion uses a 2.7L V6 Ecoboost. There’s never been a factory offering of a boosted 3.7L Cyclone. Losing the grabber blue color option was wrong but I think it was time to end the v6. The ecoboost is roughly just as quick as the v6 but way better on gas mileage. With the power increase from 435 to whichever they’ve increased it too, will mean they need to either give the gt350 more hp or lower its price. Living in the Northeast how about an all wheel drive option? My wife’s Cadillac CTS has it. Fathers Mercedes S550 has it. Power and performance is not lost by it. 3.7 is a great engine. I love mine. The eco boost was stated in a magazine article to get a consistant 19 mpg average. I get almost 30 mpg on the open road. Show me the mpg of the e-boost. If you want horsepower you buy a v8 if you want the best of both you buy a v6. Sad to think Ford is pulling out of the Mustang. I got almost 33 highway in my 3.55 6spd ecoboost. And it’s more powerful and mod friendly. I could run it on a 24psi E85 blend tune and make 380whp/440wtq and still get 26-27, or a no-boost highway mileage tune and get in the mid 30s. It’s all in how it’s driven. Of course I’d rarely do that. But referring to best of both worlds, the ecoboost is the new. 30 mpg??? Why do people troll every forum nowadays? I want to buy a convertible sports car with a V-6 but not want to spend the money on a coyote as I already have that in my F150. As a senior citizen now(60), I have 2 mustangs, a 13 v6 conv. auto and a 16 GT auto with 3:55 gears. I put 10 grand in parts on my V6. its great now, it was just good before. Still not like my GT. My point being, i buy auto’s for a couple of reason’s.1: i m older. 2. Local driving traffic conditions(just not conducive for stick driving(D.C.) area. With that said; I would have bought a GT 350 if it was auto and had a convertible top, or a GT with all the 350 upgrades. I wish FORD would make available the packages neccessary to build a mustang to meet the need of the consumer both young and old. Offer those accessaries so that you can build a killer mustang no matter what. Stick, auto, eco-boost, or GT. Technology is the greatest if its used in the manner thats conducive for the Buyer/driver. Make it available and we will buy it. Why is this saying that the new performance package will be new with 3:73 & staggered tires. My 15 performance package has both the 3:73 reared and staggered tires.. I am not seeing anything new except for the 10 speed automatic which is of no concern to me since I have the 6 speed manual anyhow. As a matter of fact I just checked and all the 15-17 performance package equipped Mustangs have both options plus Brembo brakes front and rear and spoiler delete. I HAVE A 2011 V6 MUSTANG,I LOVE THE SOUND THE POWER, THE GAS MILEAGE ,IM READY FOR A NEW ONE BUT I WILL NEVER BUY A 4 CYL FOR ANY REASON OR ANY HP. Me & My Wife Have v6 Mustangs mine 2011 Hers 2017 the first an last year for the 3.7 cyclone engine . Its a hell of a engine 305 HP an more if you use 91 or 93 octane fuel .I think FORD is just trying to save some money by putting a little 2.3 pinto engine with (turbo)an dropping the 3.7 dohc 4 valves / cylinder 10.8 to one compression ratio 7000 rpm redline engine ????? I own a 2013 Mustang V6, I love it. This Car is used for My long distance daily freeway comute. The Car has spent most of its 150,000 mile life at or slightly above 75 Mph. I absoloutly refuse to spend even one penny on an Ecoboost Mustang. When I finnaly replace My current Car it will be with one of those new V6 Chevy Camaros. Congratulations Ford, You have lost a customer !